This quotation from Luke 23:44 stands at the head of the score of Edmund Rubbra's crowning achievement, his Symphony No. 9 'Sinfonia Sacra'. The superlative world premiere recording of that work is seen below. 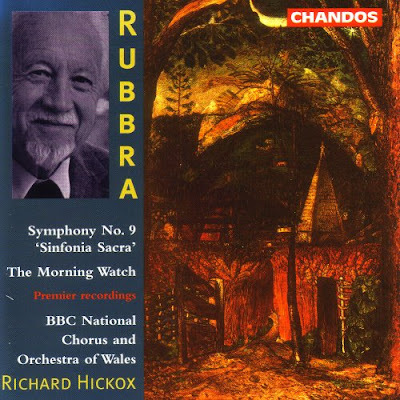 The conductor of the 1993 Chandos CD was Richard Hickox conducting his beloved BBC National Chorus and Orchestra of Wales. Today, the music world is reeling at the truly shocking news of Richard Hickox's sudden death on Sunday at the age of 60. He studied at the Royal Academy of Music before becoming organ scholar at Queen's College, Cambridge. His repertoire was wide, and his first performances included the premiers of The Three Kings and A Dance on the Hill by Peter Maxwell Davies. 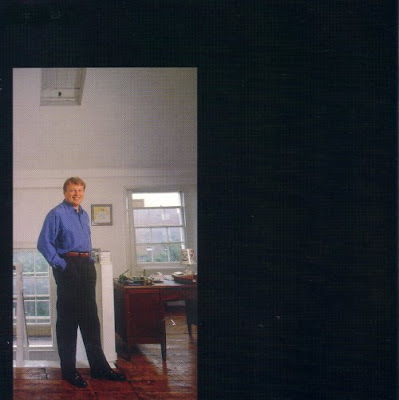 A successful international career meant Richard worked with many leading orchestras and opera companies, but the sense of loss is so great because of his unique contribution championing lesser-known twentieth century music. 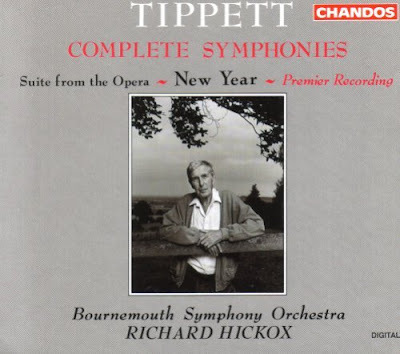 Richard Hickox's driving passion was British composers. Because he championed names such as Malcolm Arnold, William Alwyn and Edmund Rubbra Richard never became a jet-set conductor. We must be thankful for that; because, instead of becoming just another celebrity name on the music festival circuit, he contributed more than 300 CDs to the catalogue, including the complete symphonies of Rubbra, Alwyn, Arnold and Tippett. I spend a lot of time listening to Richard's recordings. This is not only because they are very good. It is also because, in many cases, they are the only commercial recordings of works that are never heard in the concert hall. And we are not talking about 'justly neglected masterpieces'. He championed music that has been quite scandalously ignored by higher-profile conductors, despite its obvious merit. We have lost a truly great musical figure. Richard Hickox was a wonderful musician. But he was also prepared to devote much of his career to going where others fear to tread. That is something very rare among top conductors today. Nothing can offset the feeling of loss. But at least Richard's passion will live on in his wonderful recorded legacy. 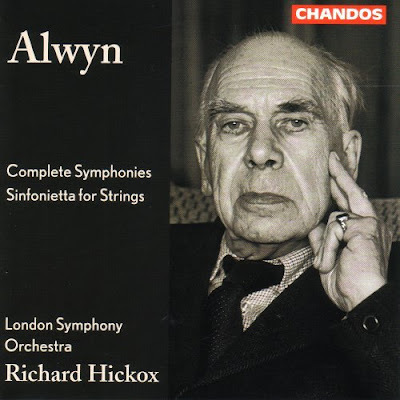 On the day of his death from a suspected heart attack Richard Hickox had been recording the second volume of his Holst Orchestral Works series for Chandos. One of those occasions when having a sick sense of humour and a love of mocking conductors can come back to bite you. Hickox conducted one of the televised proms earlier in the year and I distinctly remember making a tasteless joke to someone about his appearence; that he looked like a walking heart-attack. I also remember adding that if he dropped dead of a heart-attack anytime soon, I'd feel awful. And he has. And I do. I'm not going to stop mocking conductors or telling tasteless jokes, but I don't think I'll tell any quite like that for a while. My jaw literally dropped when I read the news. Urgh. Oddly enough, I bought his Chandos recording of Peter Grimes only a few weeks ago; every bit as good as I'd hoped it'd be.